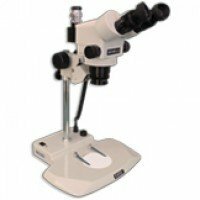 Meiji Techno offers an economically priced training, EMZ-250TR trinocular zoom stereo system for Microvascular Anastomosis for practicing microsurgical training procedures to suture and repair blood vessels in place of a costly surgical microscope. EMZ-250TR body has a long 250mm working length, increase focal depth and a wide field number. 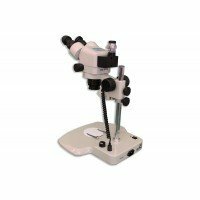 Meiji Techno offers an economically priced training EMZ-200TR Trinocular zoom stereo system for Microvascular Anastomosis for practicing microsurgical training procedures to suture and repair blood vessels in place of a costly surgical microscope. EMZ-200TR body has a long 200mm working length, increase focal depth and a wide field number. The zoom body offers direct light to all three viewing ports simultaneously. Featuring Greenough optics for enhance image flatness and contrast.